Very Good. 1405035412 ALL BOOKS SHIPPED WITHIN 1 DAY OF PURCHASE! Sheffler, Axel. Very Good. 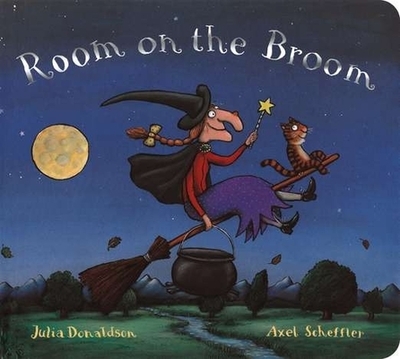 Room on the Broom Board Book by Donaldson, Julia. 24 p. Contains: Illustrations. Intended for a juvenile audience. Scheffler, Axel. Very Good. Join the witch and her cat for a broomstick adventure! 26 p. Includes illustrations. Intended for a juvenile audience. Sheffler, Axel. Good. Room on the Broom Board Book by Donaldson, Julia. 24 p. Contains: Illustrations. Intended for a juvenile audience.